Posted on May 6, 2009, 7:51 am, by Thomas Hawk, under Bay Area News, Media. 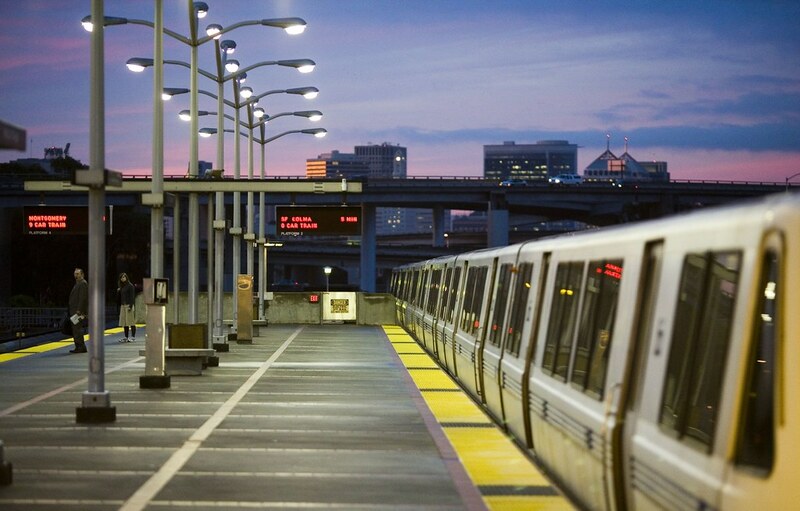 This morning I decided to conduct a very unscientific survey of BART riders from Oakland to San Francisco to see how they consume media on their morning commute. I boarded my usual 9 car BART train at MacArthur BART station in Oakland and exited at Embarcadero Station in San Francisco. During my commute I started at the back of the train and walked through about six full cars of the train and documented what each passenger was doing on the train. I wanted to do this survey to get a rough idea of how much old media vs. new media was being consumed on my morning commute. All in I surveyed 239 passengers in six cars. Most all of the passengers were sitting down in seats. Below is a breakdown on how these 239 passengers were spending their time on BART this morning. Personally I was surprised that so many of the people on BART were simply doing nothing (this included sleeping as well). In the other category was just random stuff generally not associated with consuming media. This included people doing paperwork, a few women putting on makeup, and one woman knitting. I suspect you’d find less people sleeping on an evening train home than in the morning train on the way to work. I was also surprised at how few people were using laptops. I use a laptop almost every single day on the commute to process photos if I can get a seat. I was also surprised to only see 2 passengers using Kindles, given all of the hype that seems to be built around that device. In total, in fact, only 15% of passengers were using “new media” devices. This makes me think that old media publishing may in fact have a longer lifespan left than we’ve given them. It should be noted that although a paid wifi service has been announced for BART, at present it is not in operation. In general I’m able to get an AT&T signal on my own iPhone on this commute about a third of the time while the commute is above ground. When the commute is in the tunnels below Oakland and below the San Francisco Bay there is no signal. I suspect new media devices could possibly go up if/when wifi is introduced. Then again, as it stands now, BARTs wifi plan seems really expensive and this may prohibit use. One of the 30 people using a mobile device in my numbers was me as I was using my iPhone to tabulate what people were doing as I walked through the train.